It has cut travel time to less than 5hours. As opposed to previously where the choices strictly lied between a 10-hour bus ride, 24-hour train ride or a 45-minute expensive flight. That explains why it’s managed to carry a total of 2 Million passengers within just 17 months of operation. It’s quite popular as it’s faster, cheaper and safer. Planning on heading down to the coast? 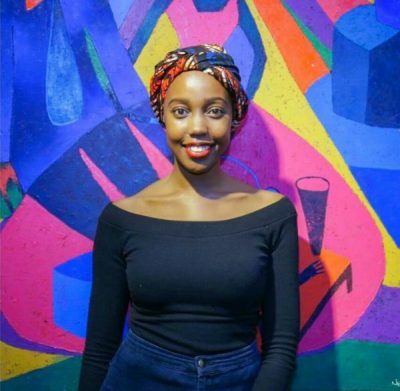 After booking you’ll receive a Mpesa message. In the message there is an account number from SGR, you will use this account number together with the phone number you used to book with to print the tickets at the departure train station. Arrive an hour in advance. Each adult passenger can bring 1 child of 3 years or below. The child will travel free of charge. 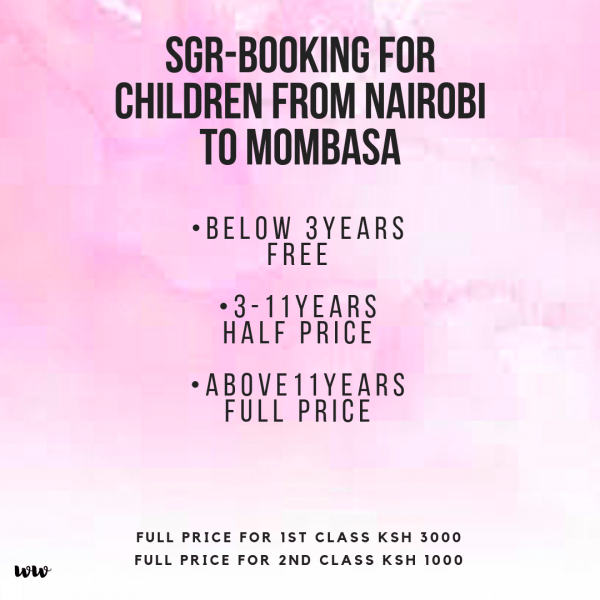 In case an adult passenger is travelling with two or more children, the other children must pay half the ticket price. Cases where a passenger is travelling with twins, triplets or quadruplets, the children shall be deemed as one (1) child provided there is proof of birth e.g a birth certificate. One is thus encouraged to carry all relevant certificates and present them at the counter in such cases. For cases where proof of birth is not available, the child will be required to pay the full ticket amount. The Express train does not stop along the way during the course of the journey. Arrives Nairobi Terminus: 1:05 pm. 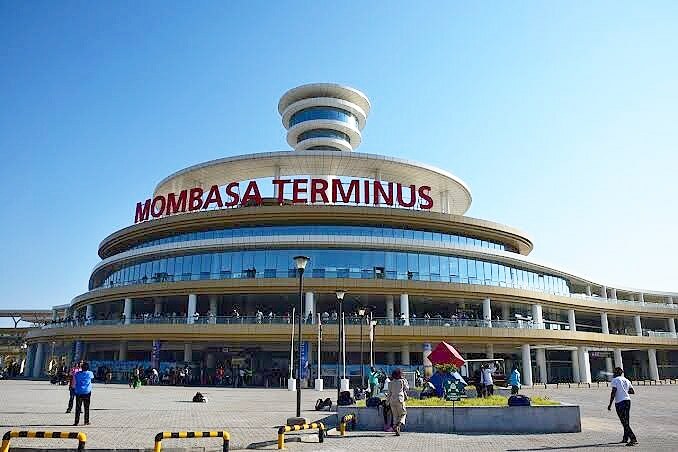 Mombasa Terminus is concentric circles and a central tower, representing a ripple in the ocean. Nairobi Terminus is Two trains with a bridge on top. The Madaraka Express has a capacity to carry 1260 passengers. Customers seeking to travel as a group should book the ride (reserve the seats) at least thirty-two (32) days to the date of travel. 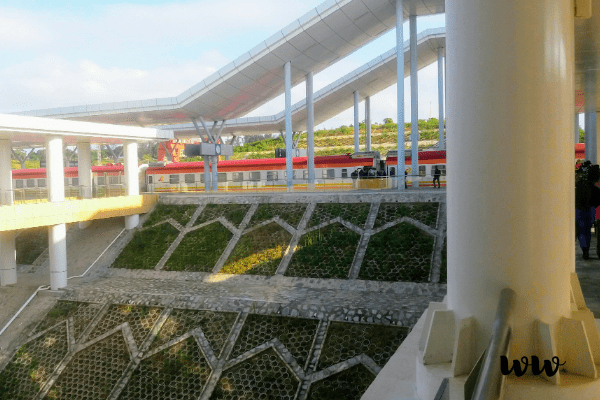 Where is the Nairobi SGR Terminus Located? 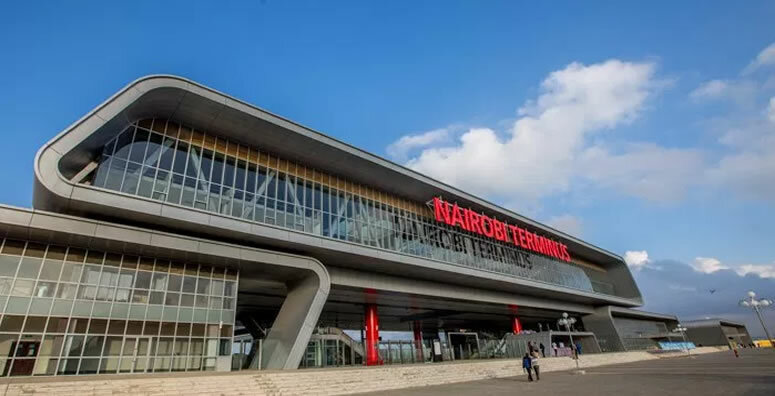 The Nairobi Terminus is located in Syokimau area of Nairobi County; 20 kilometres away from the Nairobi CBD. 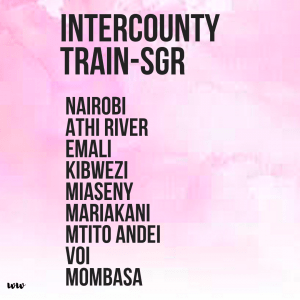 Where is the Mombasa SGR Terminus Located? Mombasa Terminus is located in Miritini area of Mombasa County; 11 kilometres away from Mombasa CBD. 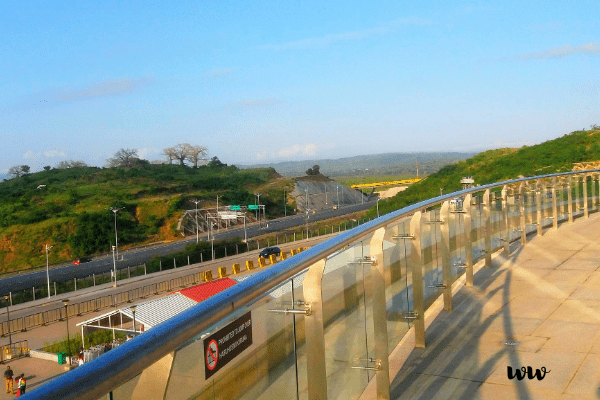 How do I get from Nairobi city to SGR train station & Vice Versa? There is a commuter train from the city centre at old Nairobi Railway station which transfers passengers to the main station every day at 06:00 am. You can also board a bus at Railways bus station which will drop you at Old Mombasa Rd along Mombasa road. The Main station is at a walking distance from the main road. There are also boda-bodas (Motorcycle taxis) which will charge you Kshs 50 to the station. If by any chance you’re unable to travel, here are KRC refund policies. If you claim your refund before the train leaves, you get 80% of the ticket price back. The refund cannot be carried out at the intermediate station or destination station. The refund cannot be carried out in case a ticket is unrecognizable due to damage or contamination. Refunds will not be issued after the journey has commenced, at Intermediate or destination stations. Whether you’re in Nairobi or Mombasa the accommodation possibilities are endless. 0709 388 887 – Madaraka Express Passenger Service inquiries, complaints, lost & found. 0709 388 888 – Madaraka Express Passenger Service bookings. 0709 907 000 – Kenya Railways Headquarters customer care. 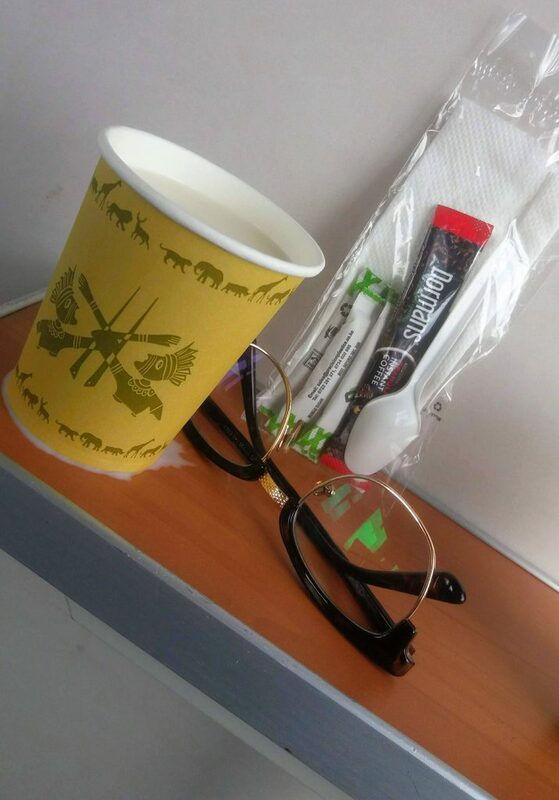 Free coffee courtesy of Madaraka Express Train. Also evidence of how clumsy I can get. Your Blogs are so on point.full of useful information. I have booked at mombasa terminal wherelse I needed to book Nairobi terminal,what can I do? Hi Anne, kindly get in touch with SGR customer service using the number below. All the best.